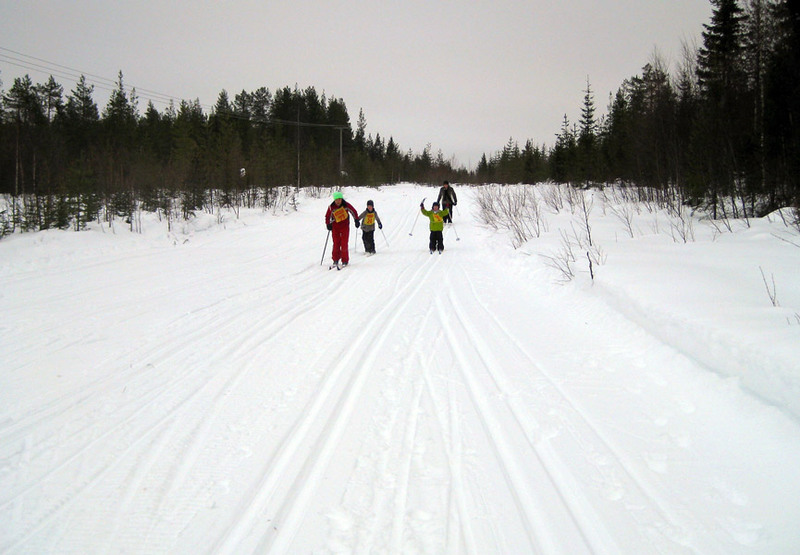 There are many opportunities to cross country ski in the Vuollerim area. You can ski individually or in teams, either on the well prepared tracks or just go straight out into the forests on your own journey! Maybe you are a club who wants to practice, a company looking to have fun together or a club on a training camp? 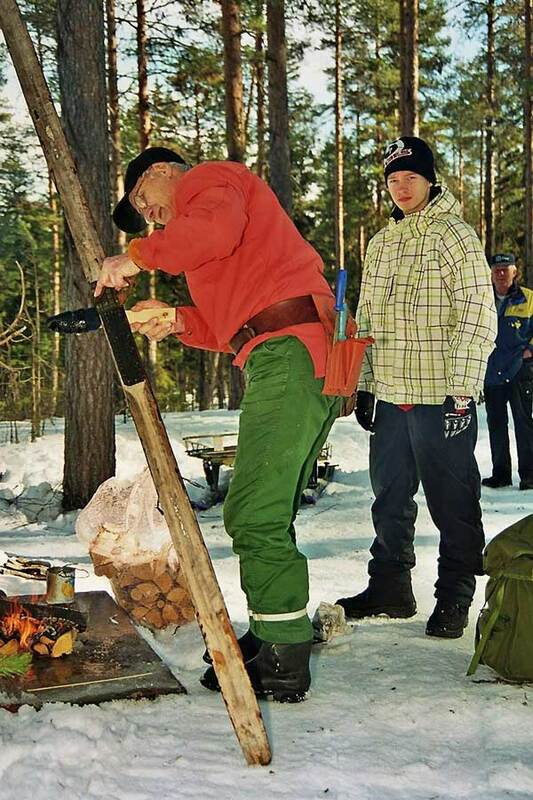 At Bomyrberget – the ski resort; there are lots of possibilities. 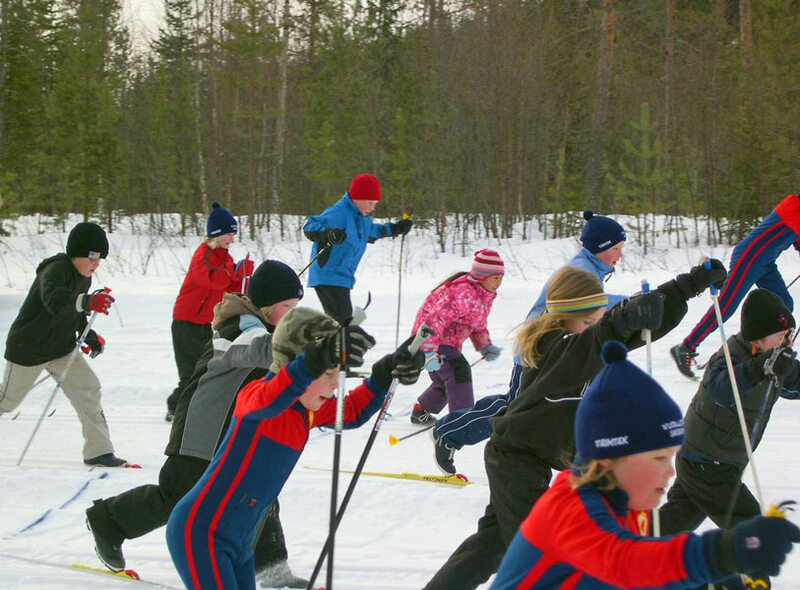 Directly adjacent to the downhill ski slope there are excellent, well prepared cross country ski tracks – perfect for a cross country workout or just as a relaxing exercise. The tracks are illuminated at night and are 2.5km and 5km in distance. 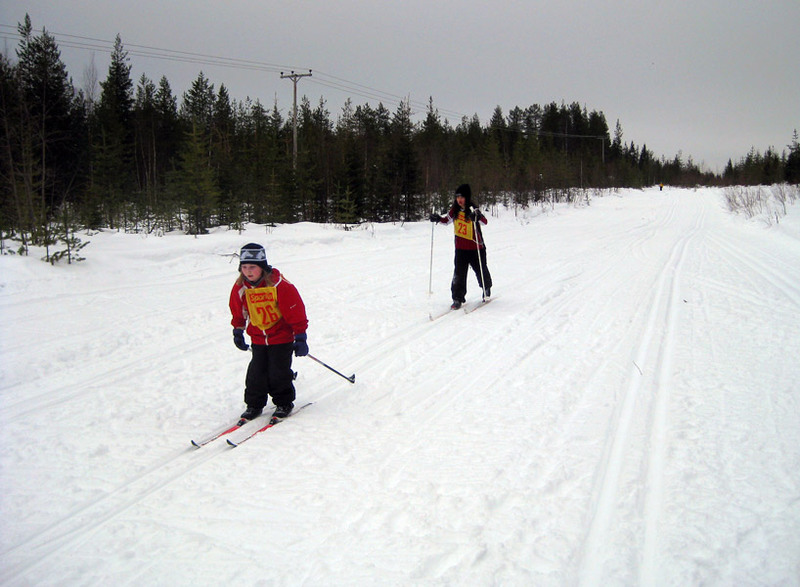 There is also “the dog track” a 13km track around the whole of the Bomyrberget a great track for all age groups. There is a ski cabin where you can wax your skiis and the cabin also has a toilet and shower for your use before and after your exercise. If you want help with waxing your skiis and/or arranging a competition within your group – then this can be arranged. We also take bookings for training camps and overnight packages – contact us for further information.